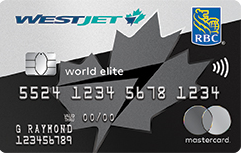 Recently my wife and I grabbed ourselves the WestJet RBC World Elite Mastercard and there really were three reasons behind this. Now this wasn't an apply for primary and secondary cards for one account. These were two separate applications for both of us to each have our own cards. I've mentioned the reason why before in our Ultimate Credit Card Portfolio for Families and now we've jumped on it ourselves. First Checked Bag Free for up to 8 people - right now with Gold status that isn't a huge selling point but my status expires at the end of the year so without re-qualification it will come in handy! 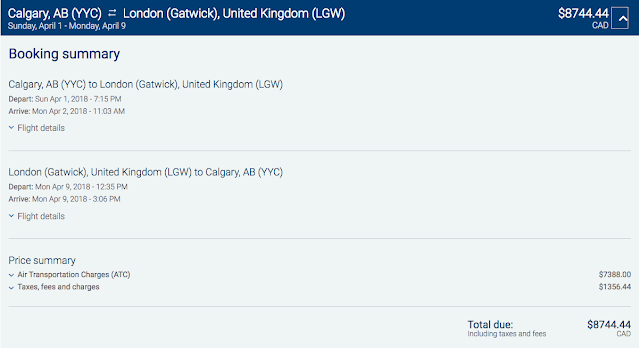 Four tickets outright in Plus run $8744.44 however if I booked two tickets and used a companion voucher for one of them and my wife did the same we could drop that price down to $5848.45 (two base fares, two companion voucher fares and all taxes/fees). That's nearly a $3,000 saving attributed to the having the companion vouchers from the cards! Would I book this right now? Probably not since I would most likely use miles in another program to go in a true business class but with WestJet adding Boeing 787's with a true business class in a little over a year I hope, really hope, that WestJet will add a business class companion voucher to the card! In all likelihood the first year of having this card we'll use our companion vouchers for flights to Hawaii especially since Air Canada has Rouged the Maui route so there isn't a true business class product out of Calgary to Hawaii and looking at the pricing on WestJet for those routes we should expect a decent amount of savings as well by using the vouchers. 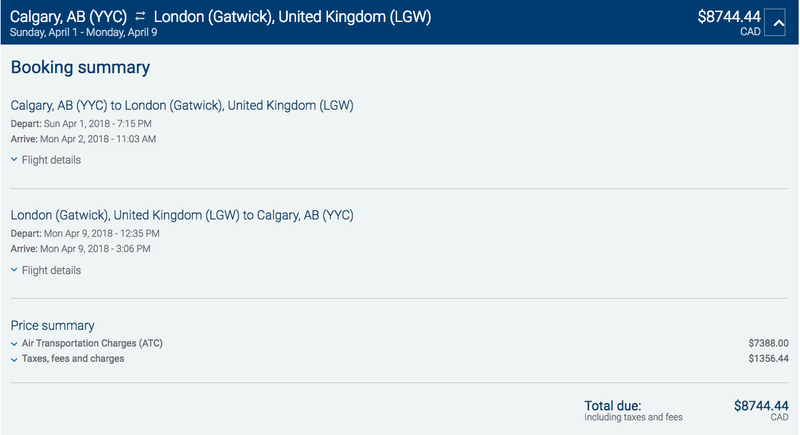 Those are the reasons why we each grabbed our own WestJet RBC World Elite Mastercard. I would love to hear from our readers if you have done the same and/or would like to pass along some great stories of saving some $$$ utilizing the vouchers.